The Malta Poker Festival is one of the highlights of the European poker circuit. Played over six days at the beginning of November, the Festival´s highlight is the €500,000 guaranteed “Grand Event” – a €550 buy-in tournament you can qualify for via a satellite path that starts today at Intertops Poker. There are not many poker venues that can justifiably call their Main Events “Grand”, but the Portomaso Casino in Malta is one of them. Situated on the picturesque Portomaso Marina, the casino is known for its luxurious surroundings and welcoming atmosphere, and it has been the home for some of the biggest European poker tournaments for many years. From November 1st to November 6th, the casino will be hosting the Malta Poker Festival – a Festival consisting of seven quality poker tournaments, a Blackjack tournament, and a selection of social events. There will also be around-the-clock cash games, last-minute live satellites, and a full range of casino games available for players who want a break from the poker tables. The Malta Poker Festival is a rebranding exercise for the former “Battle of Malta” series. The Battle of Malta ran at the Portomaso Casino for seven years and was always well attended. Last year the Main Event attracted more than two thousand entries, and eventual winner – Nadav Lipszyc – took home a first prize of €200,000. Opening night cocktail party at the Malta Hilton. Club Level 22 Party on the second night of the Festival. Malta Poker Festival VIP Party the following night. “Après Tournament” breakfast at the Hilton on the final morning. 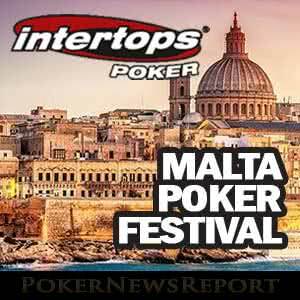 On Sunday 2nd September, Intertops Poker will be hosting a “Malta Poker Festival €500,000 GTD Satellite Final”. The tournament starts at 9:10pm (CEST), has a direct buy-in of $110.00, and guarantees at least one package to the Malta Poker Festival Grand Event. 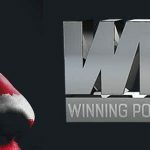 The package has a value of $2,500 and includes the buy-in for the Grand Event, a five-night stay for two people at the Malta Hilton, $500 towards travel expenses, and a host of Intertops Poker gear (as well as invites to all the social events). 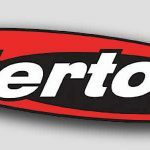 Starting today at 4:00pm (CEST), Intertops Poker is running four-times-daily Step 1 sub-satellites with a buy-in of $3.30. The Step 1 sub-satellites run around-the-clock at six hour intervals and feed into a daily Step 2 sub-satellite – the first of which is scheduled for tomorrow at 7:15pm (CEST). The Step 2 sub-satellites can also be bought into directly for $11.00, and each guarantees at least one seat in the “Malta Poker Festival €500,000 GTD Satellite Final”. On the day of the “Satellite Final”, Intertops Poker will also be hosting a “Last Chance Wild West Satellite” at 5:00pm (CEST). This satellite has a buy-in of just $1.10 and gets its name from being a short-stacked, hyper turbo event with unlimited re-entries available during the late registration period. If you have ever played in one of these events before, you will know that its title is well justified, but it is also an opportunity to get your hands on a seat in the Satellite Final for a minimal investment. 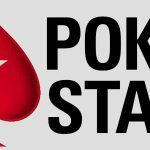 The Malta Poker Festival is going to be a fantastic event based on the experiences of players who have attended previous Battle of Malta series. It is fun, affordable, and offers the opportunity to leave Malta with a big stash of cash. It will be even more fun for players who have won a package to the event via an online qualifier, so don´t miss your opportunity to maximize your fun – visit Intertops Poker today and start your journey to the Malta Poker Festival.